Karte und Windeltorte passen ja perfekt zusammen…klasse! Brilliant card. Love the bright colours, fabulous for a baby present. Thanks for playing with us at the Friday Mashup. Oh this is darling! I love that cake you made it's so cute! 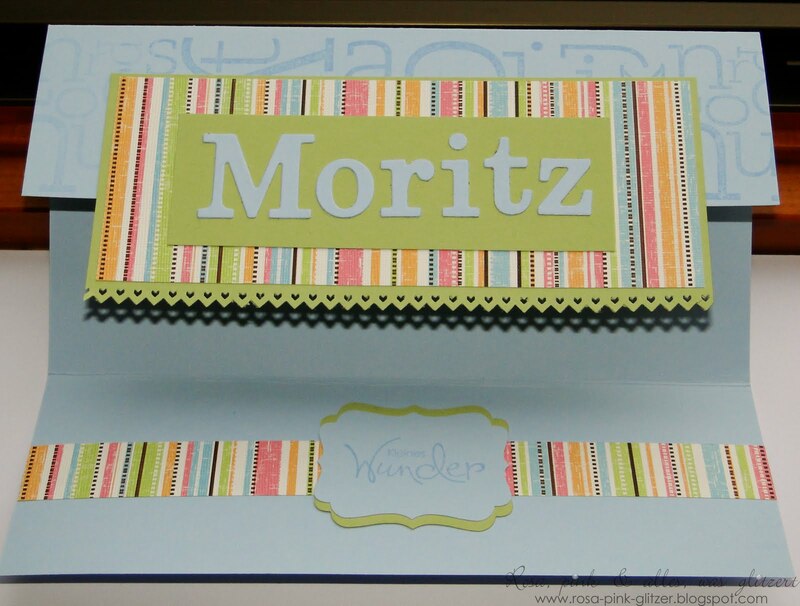 Great way to use your Gatefold card. The colors are perfect for a baby! I really like how you used the name on the front. Thanks for joining us at the Friday Mashup. Love this! 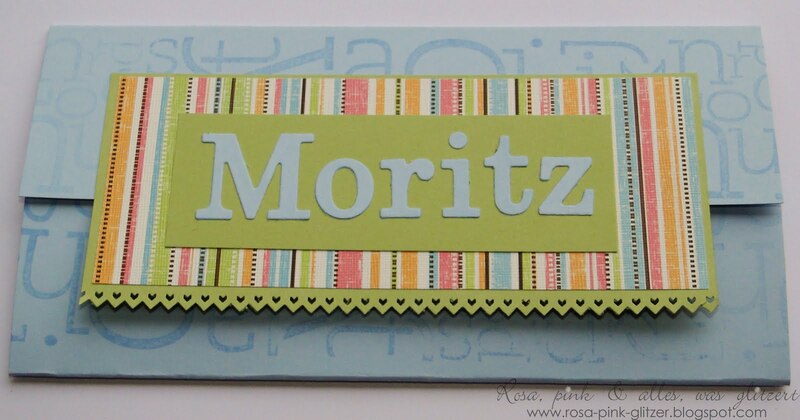 Fantastic colors for a baby card! 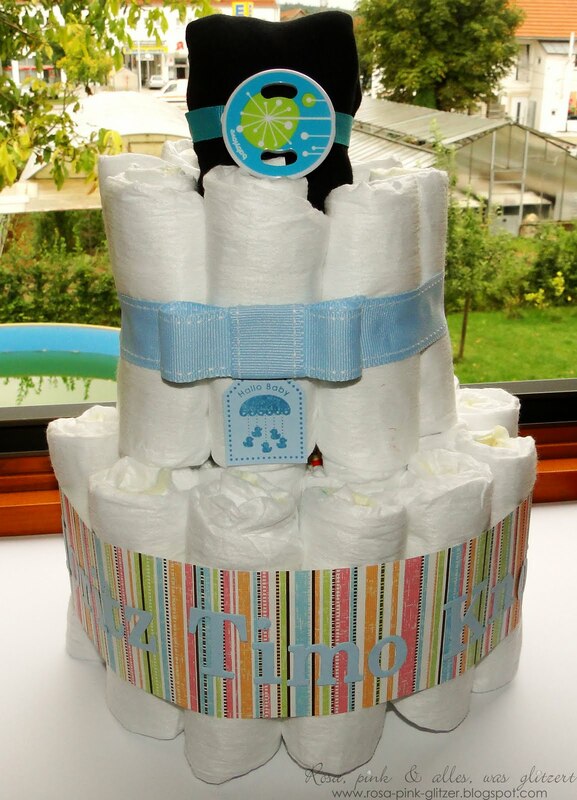 Love the diaper cake too…looks like a fun baby shower gift! So glad you joined us at the Friday Mashup again! 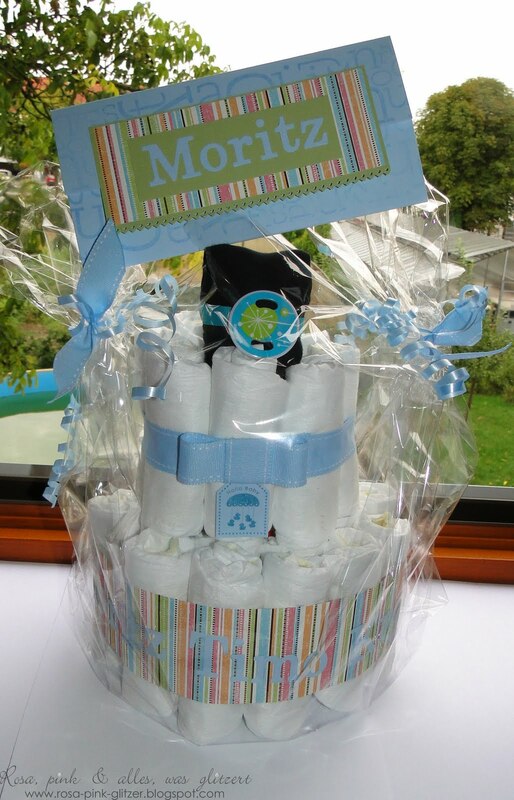 What a wonderful baby gift! You did a fantastic job with the gatefold card. Thanks for joining in the Friday Mashup!